Underwater life is always a mystery for me until I feel and saw this beautiful world with my eyes. 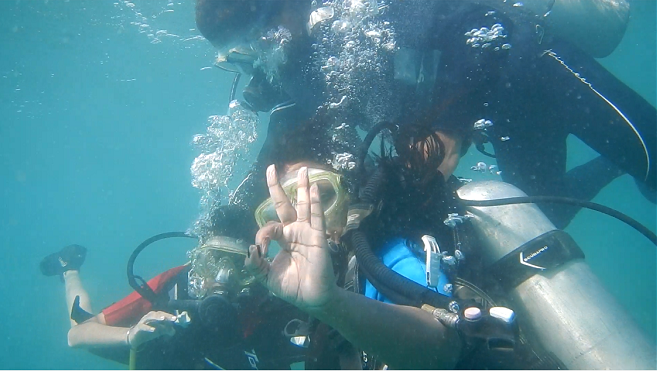 Here I am with my most favourite destination for Underwater diving in India to explore marine life at its best. These Indian Sea-Diving Destinations are famous for Snorkelling, Deep water fishing, Scuba diving and many other water sports activities. These Sea diving locations of India are perfect to enjoy beautiful marine life, live coral and many species of colourful fishes. As the name suggests, the wall drops from 10- 55m down to the sand channel between Havelock and Peel Island is the best local site to see purple, red and yellow soft corals. One can see the variety of marine life here like Napoleon wrasse, Snapper, Nudibranch, Scorpion Fish and Trevally. On the sandy parts, one can also spot the Blue spotted stingray with or without their tails. It is considering as one of the best dive sites in Andaman. Swirling Barracuda, friendly Grouper, Unicorn Fish and Snappers are the prime attraction of this site. You can also see the sharks at Johnny's Gorge diving site and groups of Eagle Rays make this site the most favourable among the divers. It is first found by the local instructor called Dixon and since then the site has been dedicated to his name. It is one of the most popular dive sites around Havelock. It is a mysterious site due to the three main pinnacles resting in a triangle on the ocean floor covered with many species of colourful corals and surrounded by schools of fish. Clouds of Barracuda's, flying manta and other variety of rays, napoleon wrasse cruise and many other beautiful fishes are the native off this site. It is a favourite cleaning ground of Turtles, moray eels and white-tip reef sharks. It is approximately 20 minutes by boat from the Havelock Island popular for its water sports activities is a must have a visit when you are at Havelock Island. You can see amazing coral reef with your naked eyes which start at a depth of less than a metre. It is a popular destination for snorkelling and dive training. One can see lots of small macro life, like Pipefish, different varieties of shrimps and porcelain crabs. The prices for scuba diving at Havelock Island, Andaman varies from Rs. 3000 to Rs. 5000 depending on the site choice, duration of the dive and some other factors. You will also get a certificate, video and pictures of your scuba diving activity which make the experience of diving more memorable. It is a popular tourist destination in South India which is famous for its clean beaches and cultural heritage sites. It has five beautiful beaches- Auroville Beach, Paradise Beach, Promenade Beach, Serenity Beach and Veerampattinam Beach famous for water surfing, leisure trips and water sports activities like scuba diving and much more. This east coast may not be as friendly for divers as the Arabian Sea but it should be on your list if you like to explore marine life. Here we are with the list of Dive Sites at Pondicherry to enjoy Scuba diving, fishing and many other activities. It is a popular underwater diving site becoming famous around India for scuba diving, where visibility can reach up to 40 meters. Currently, there are 12 different areas of the Aravind's Wall where one can take the dive spot the marine life, especially groupers, barracuda and friendly sea kraits. Whale Shark and Manta Ray sightings also spotted here. It has a maximum depth of around 18 meters to 25 meters. 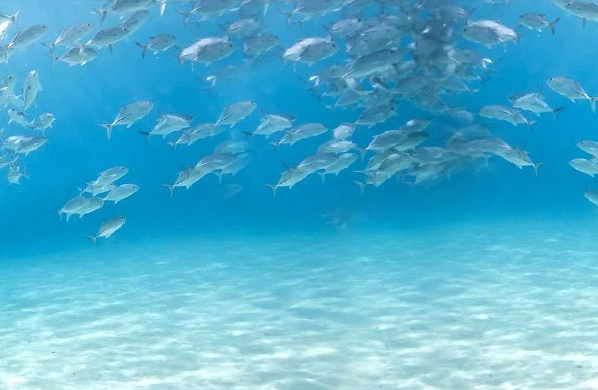 It is famous for an amazing artificial reef established to create a safe habitat for marine life. The name given to this site is because of a temple-shaped structure formed from recycled materials. One can found more than 45 different marine species including groupers, batfish, barracudas, boxfish, moray eels and mantis shrimps. This dive site was discovered in March 2011. It is an excellent dive site for advanced divers and for those with a Deep diver qualification as the dive starts from 30 meters here. The main attraction of the site is that the central part of this dive has a hole which surely attracts the Deep divers to look into the never ending blackness and to see some of the really big creatures hiding in this dark. The price for scuba diving at Pondicherry varies from Rs. 5000 to Rs. 6,800 (1 Dive, 1 day) depending on the site choice, duration of the course and some other factors. Temple Adventures is the India's first and only East Coast PADI Scuba Diving Center from where one can book the scuba diving sessions at Pondicherry. It is a land of beaches is an ideal destination for sea lovers and for those who want to explore the marine life. If you love to scuba dive, or want to learn how to take scuba dive then Goa is the ideal location for you. There is no need to have any experience in swimming while you scuba dive. Here we are with the list of Dive Sites at Goa to enjoy Scuba diving, Snorkelling, deep water fishing and many other water sports activities. It is a perfect place for scuba diving and fishing. Grande Island is the center of diving life in Goa. Here are many popular places for dive sites which attract lots of divers to enjoy the marine life at its best. Some of them popular dive sites in Goa are Davy Jones Lockers, Sail Rock, Grande Banks, Turbo Tunnel and Bounty Bay suitable for beginners as well as for the professional divers, there is something here for everyone. You can see the large variety of live corals and amazing fish life here. Barracudas, Red Snappers, blue ringed angers, Red tooth triggers, Groupers are common to the site. The prices for scuba diving at Grande Island, Goa varies from Rs. 4000 to Rs. 5000 depending on the site choice, duration of the dive and some other factors. Do not forget to get your diving certificate, video and pictures of your scuba diving activity to make the experience of diving more memorable. It is a group of beautiful islands rich in its marine life and beautiful beaches. 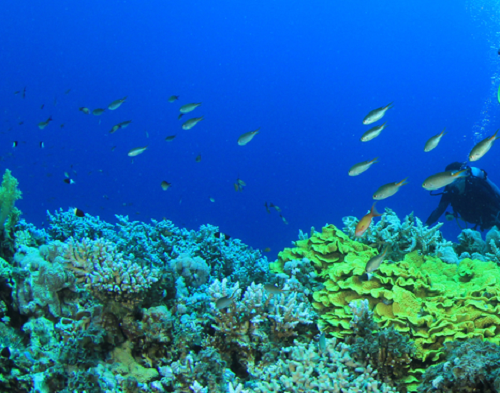 One can explore exotic marine life under the crystal clear water of the Arabian Sea. Scuba diving facilities are available at Kadmat, Kavaratti and Bangaram have facilities for scuba diving. Incredible visibility and the rich marine life make Lakshadweep a perfect dive location. Here we are with the list of Dive Sites at Lakshadweep to enjoy Scuba Diving, Snorkelling, deep water fishing and many other water sports activities. It is the headquarter island ideal for scuba dive beginners. This dive centre is located on the northern tip of the island very close to the entrance. You can find turtles, soft corals sharks, rays and all kinds of tropical fishes here. The Southern tip of the island is famous for big sharks, spotted eagle rays schooling barracuda. One can enjoy cave dives at Wall of Wonder at North West side of the island or dive at Turtle Nest to see all types of turtles there. It is a little island consider as the most beautiful part of India situated at a distance of 407 km off the coast of Kerala in the Arabian Sea. The crystal clear water and the abundant marine life make Kadmat an ideal location for scuba diving and other underwater sports activities. One can get 20-50 meter visibility and a variety of fishes like Lionfish, Lobsters, Tuna, sharks, shoaling jacks, fusiliers, sweetlips, groupers, rays, eels and turtles at Kadmat scuba diving centre. It is the home of the first Laccadives Dive Centre and School offers beginner to advanced courses throughout the season. The best season for scuba diving at Kadmat is from October to May. It is the crescent shaped southernmost island in the Lakshadweep group of islands. It is the only island where three large shipwrecks within 8 meters depth on the island reef. These wrecks ships are now turned into live underwater museums giving a home to many fish species and corals. Manta Ray can be easily seen almost at all cited in almost all dive sites like Rabberufarai, Ragganmathi, Mulimatti during the season. Sharks, bull rays, turtles, red and black snappers, napoleon wrasse, barracuda and sweet lips are found in abundance at dive sites. The price for scuba diving at Lakshadweep varies from Rs. 1700 to Rs. 4500 depending on the site choice, duration of the dive, the age of divers and some other factors.